I've worked on quite a few more granny square blocks since my last post about these. I was dying to cut into my new fabrics, so I wasted no time in sewing them up. Look at my stack now! 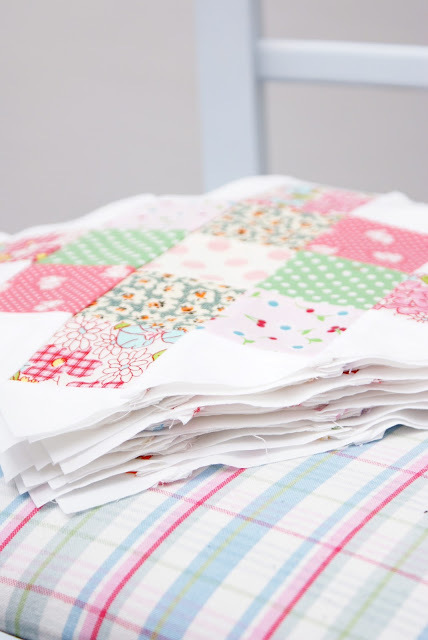 :) wooh it will be my first lap-sized quilt, so excited!! 5 down, 15 more to go. So you're ahead of me! Of course, this was a project that I probably shouldn't have started considering how many others are also in the works, but who's counting? I love yours. Aren't they fun and quick? 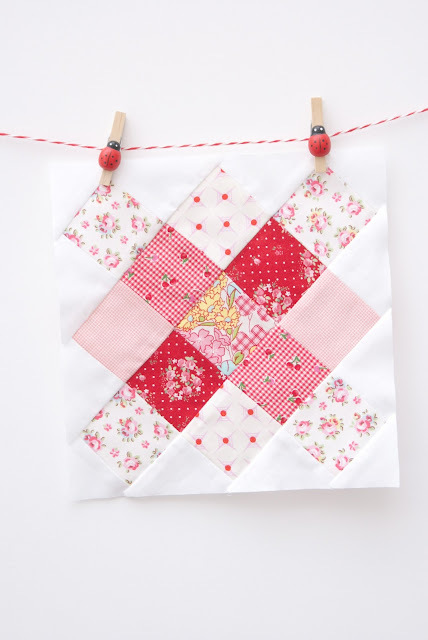 This block is one where I feel like I spend more time ironing than sewing! your granny squares are beautiful! aren't they fun?! i have 19 made and tons of squares cut. Wow! You are making such great progress. Putting me to shame over here. But I love the way these are coming together. 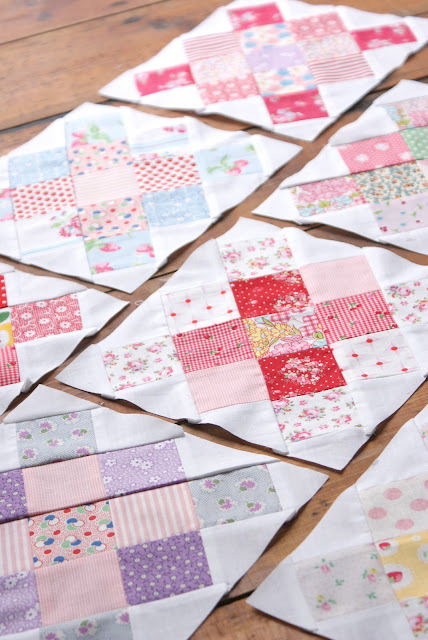 You are going to have a very special quilt. Oooh, they are lovely, gorgeous fabrics!! Such lovely colours and fabrics! I think that red and pink is my favourite too! Beautiful, beautiful blocks. I love the red and pink one, and the one in the top pic too. Also that fabric that the blocks are sitting on - is it CK? You're temping me again! I've been good though started my log cabin blocks instead, maybe Granny blocks after though! It is good to see that this madness can travel to some ones house other then mine. You are doing such a great job! They are lovely! your granny squares are simply delightful!! i LOVE them!! Unfortunately not at all. Between too much going on, my machine misbehaving last week and my hand aching horribly this week, I'm getting nothing accomplished. I only have 1 sewn but there are 3 others on my design wall! Yours are beautiful!! 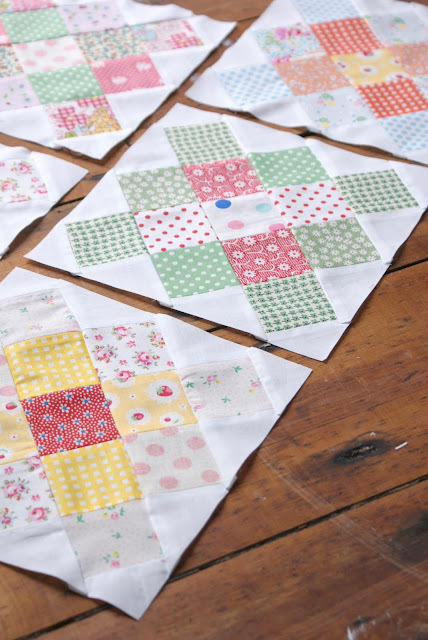 I can't wait to see your quilt come together!